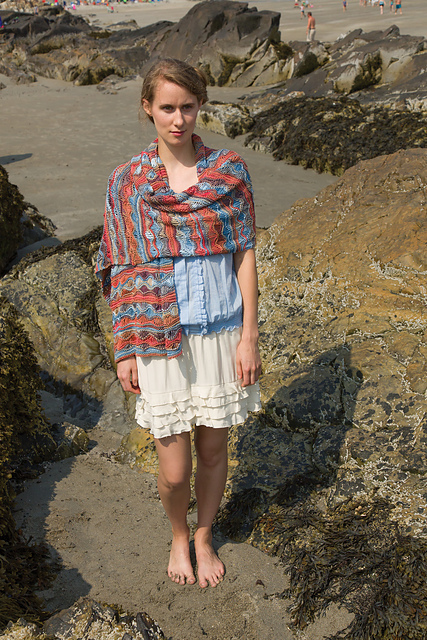 The Naushon scarf is a gorgeous pattern that has two options, a scarf and a wrap, that will look lovely well into cool summer nights. It’s the perfect warm weather accessory. We just might have to make a few of these…. Rhonda made scarf version, which is being shown at the Yarn Attic local yarn store. 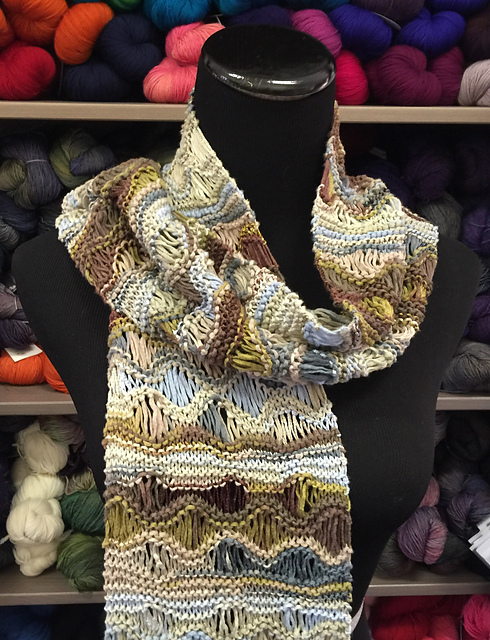 She used size 7 knitting needles and three balls of Classic Elite’s Santorini yarn in 2114 Dancing Shadows. Santorini is a variegated worsted weight yarn that is a blend of 58% viscose and 42% cotton, that gives it this wonderful light, soft and stretchy feel that allows knits to drape beautifully. The scarf measures approximately 8″ wide and 55 1/2″ long and wrap measures approximately 19″ wide and 68″ long. 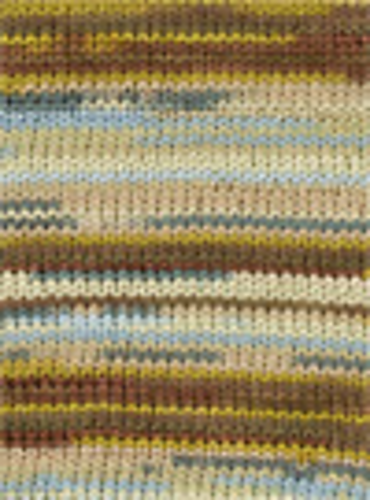 The pattern is an easy knit, consisting of garter stitches, yarn overs, and drop stitches. 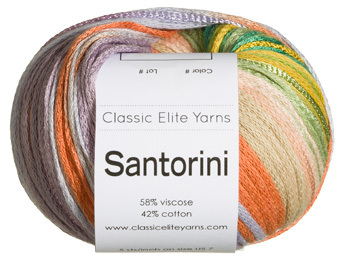 The combination gives the scarf/wrap bands of lacy drops that showcase Santorini’s striping color changes. 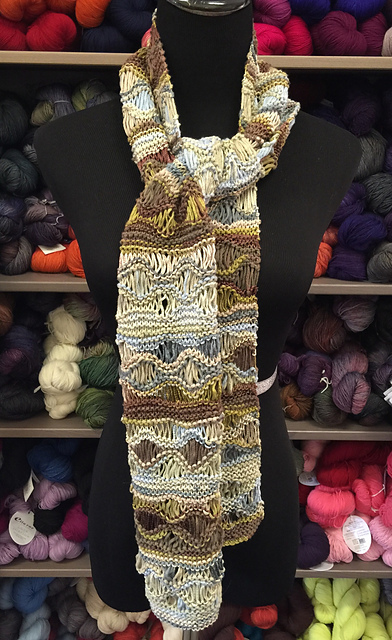 The pattern was designed by Tonia Barry, in house designer for Classic Elite Yarns. You can see her work and pattern store on her Ravelry website. 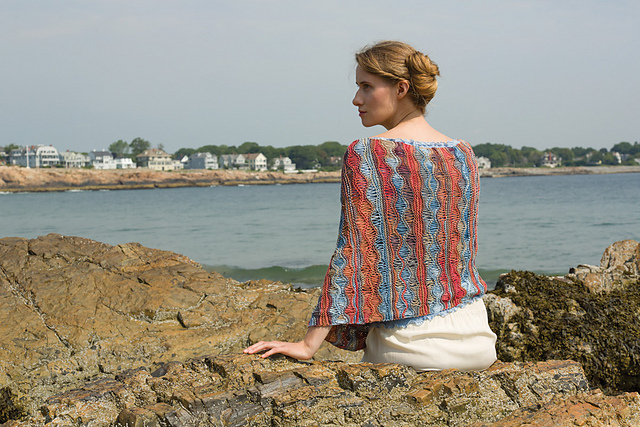 It is featured in Along the Shore by Classic Elite bundle/pamphlet on their Ravelry’s store, or you can also purchase the pattern alone here. This is the scarf version. Fancy making one that doesn’t have variegated color changes? You can always use Classic Elite Yarn’s Sanibel ribbon yarn, also a worsted weight tonal yarn, which is also made of 58% viscose, 42% cotton. 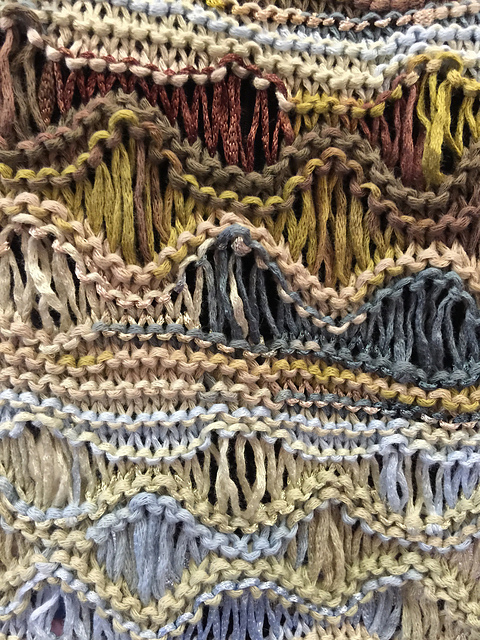 The pattern is lovely enough to stand out with the subtle tonal color of this yarn. Sanibel offers a nice selection, with great spring and summer time colors like, maize, french lavender, limeade, deep teal and Mexican pink! As always, join our Ravelry group and show us pictures of your projects or tag us on instagram @theyarnattic #naushonscarf.